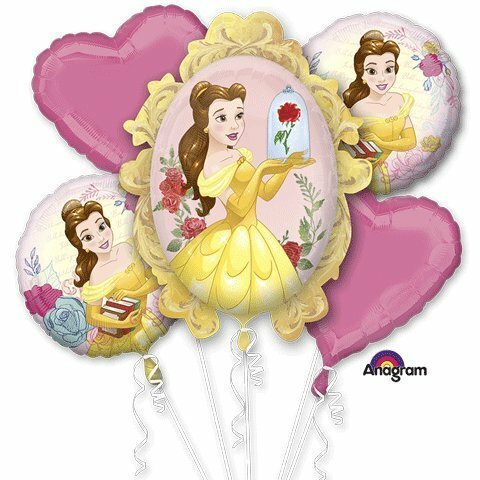 This Bouquet Beauty & The Beast includes all the balloons you need to create the perfect Disney's Beauty and the Beast themed balloon bouquet! 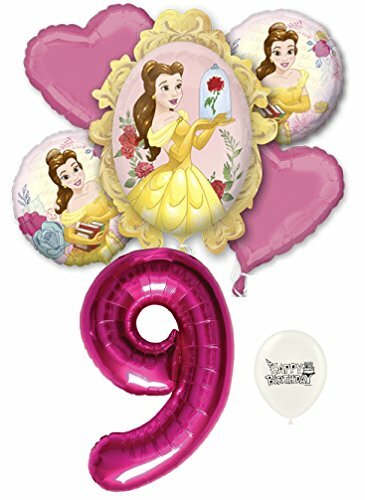 The bouquet includes multiple shaped Anagram Disney's Beauty and the Beast themed foil mylar balloons great for an individual or for decorating your Disney's Beauty and the Beast party. Balloons include a self-sealing valve, preventing the gas from escaping after they are inflated. Balloons arrive uninflated. 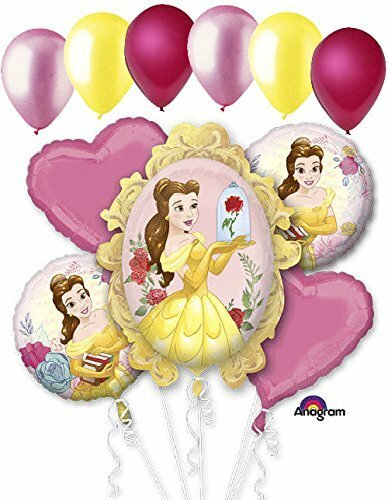 1 - 32" Beauty & the Beast Shape Balloon 2 - 18" Beauty & the Beast Round Balloons 2 - 18" Pink Heart Balloons 6 - 12" Mixed Latex Balloons (2 Pearl Pink, 2 Pearl Yellow, 2 Pearl Magenta) These items may arrive flat or in retail packaging All balloons sold online are shipped out with no air/helium. Filled balloons don't travel well through different elevations. All balloons are sold without ribbons. 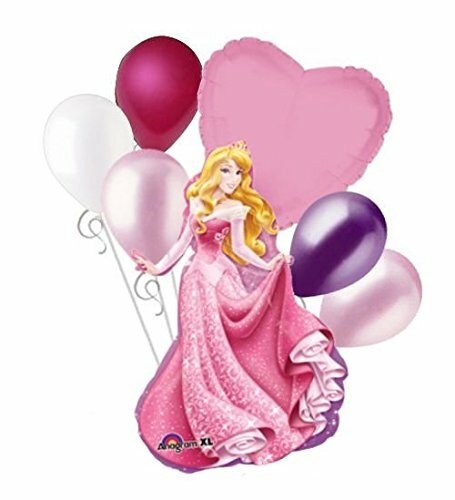 Included in this bouquet: 7 Balloons Total 1 - 34" Sleeping Beauty Shape Balloon 1 - 18" Pink Heart Balloon 5 - 12" Mixed Latex Balloons (1 Pearl Magenta, 1 Pearl White, 1 Metallic Purple, 2 Pearl Pink) These items may arrive flat or in retail packaging All balloons sold online are shipped out with no air/helium. Filled balloons don't travel well through different elevations. All balloons are sold without ribbons. All of my balloons are Brand New, some may not be in original packaging but they are new. I purchase in bulk and pass on the savings to you! The balloons are as pictured. 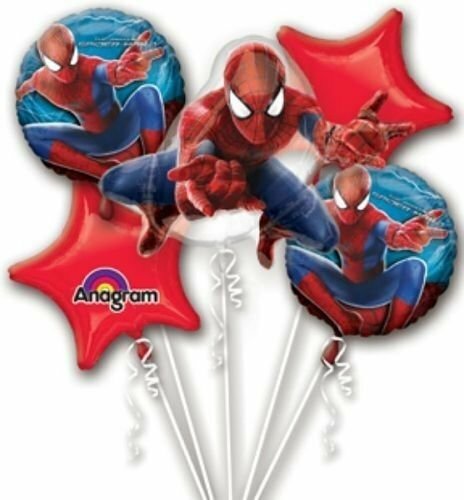 All the balloons are double sided, the same picture is on the front and back.All my balloons are BRAND NEW deluxe helium quality from the manufacturer. My balloons are not filled, you can fill at your local grocery store, discount store, or florist, or rent a helium tank from your local party store or welding company. You can also air fill it and tape to the wall or attach balloon sticks. If using air, insert a straw carefully into the self sealing opening and blow, then remove and it will seal. 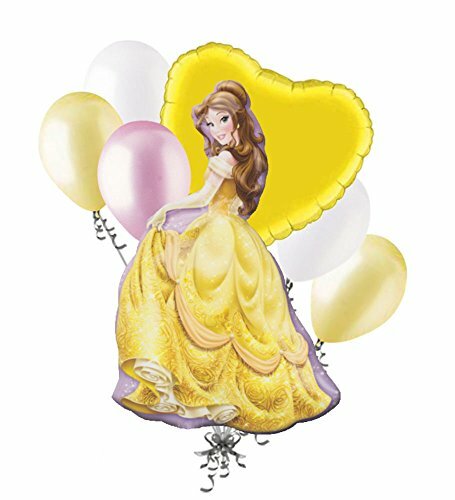 Please note that mylar will last about 1-2 weeks, latex will only last about 8-24 hours, so best to inflate those just prior to your party, although actual float time varies. Just be sure to use the correct inflator. A black nozzle tip will be used for latex balloons, and a gold narrow tip should be used for mylar balloons. If you use a larger latex black inflation nozzle on helium balloons, you risk over inflation of the balloon and harming the self sealing properties and this may cause early deflation. 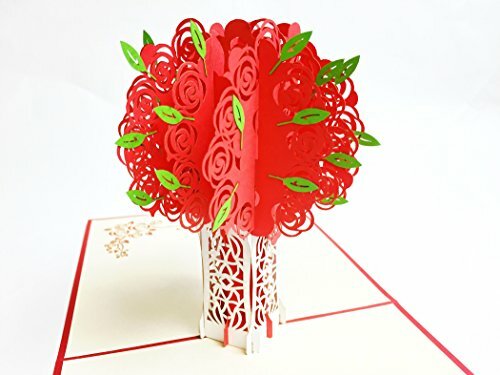 Looking for more Birthday Beauty Bouquet similar ideas? Try to explore these searches: Wholesale Designer Clothes, Reproduction Antique Hardware, and Closed Base Cleat. Look at latest related video about Birthday Beauty Bouquet. Shopwizion.com is the smartest way for online shopping: compare prices of leading online shops for best deals around the web. 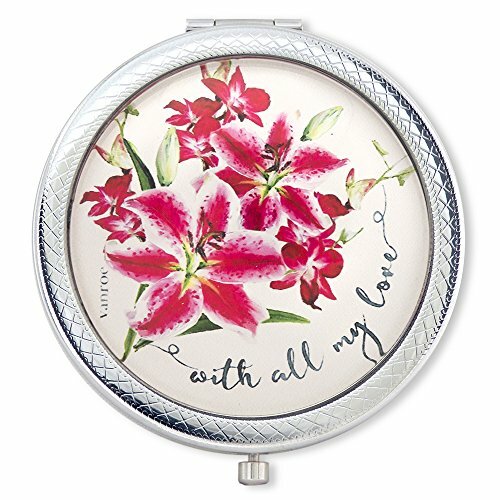 Don't miss TOP Birthday Beauty Bouquet deals, updated daily.